Who Is A Rich Man? A man came to Jesus asking Him to intervene in a wealth-sharing dispute between him and his brother who did not want to share their father’s wealth with him. Jesus answered, telling him He wasn’t made a judge over them. His answer has a two-way application. He wasn’t a judge officially over such matters, but indirectly, He told him that the material life was not the reason or purpose of His coming. This inspired the teaching against covetousness and the parable of the “rich Fool”, a man society called “rich”; Jesus also acknowledged he was rich, and that means he was rich! Yet, heaven called him a fool. Why? 1) He thought the security of life depended on the earthly acquisition: an abundance of wealth, education, connection, location, etc. Sadly, many hold this view today, even in Church, that the more wealth a man has, the more secure he is. This lie looks so golden, whereas it is deception in its highest form, and the creator of the end time god – mammon. Jesus warned against the deceitfulness of riches and taught that a man’s life does not consist in the abundance of things he possesses. 3) He made plans as though he had power over his life. We often times forget that our lives belong to God and are in His hand, and He can make a demand of the life at any time. Job reminds us that no man has the power to retain the spirit (life) in him. When God calls, we respond. But hear this “rich man” speak as though he had power over tomorrow and can resist the call of God. People think some are being “over righteous” when they add “by the grace of God” to their statement. 4) He built his life on and around things that have no eternal value. Everything changes: nothing in this world is stable or durable. Building one’s hope on a shifting thing is like building without a foundation! How secure are those things after the death of the man? Who will inherit those things? The frenzy with which man run after these things that the Bible clearly and unequivocally teaches to be “deceitful” is so alarming that it has become a standard of judging who is, and who is not a true believer, forgetting that love of things in the world is enmity with God. Jesus said anyone who thinks and plans like this way, is regarded by heaven as a fool. (Luke 12:21) Why? God’s ways differ from ours! The way we see things is not the way heaven see things! (Isaiah 55) What Man calls treasure, heaven calls nonsense! 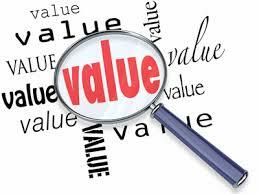 We do not value the things God values! Solomon realized this and said on his return to God, “all is vanity” (Ecc. 1:2). Vanity means the quality of being without value; futile, useless, nonsense! That is where Man’s heart is, and God is clearly disappointed in this. Man’s heart is clogged up with the “weeds” of this world – the lust of the eyes, the lust of the flesh and the pride of life. All these dull the heart, choke the word of God and makes one unfruitful in godliness. What are we expected to do? This is a heart situation, because where the treasure of a man is there will his heart be also, and since man cannot fix himself, only God, Who can farm or cultivate the heart can. But He will not; until we willingly come to Him. The proof of your coming to Him is in how much value you place on what He values! Jesus asked Peter in John 21, if he loved Him more than the fish, representing all we wake early to pursue and come in late to acquire. What does God place value on? His Word! How much of His word do we treasure? How have we been handling His word, because this is what shall be used to clean us! “Now ye are clean through the word which I have spoken unto you.” – John 15:3 (KJV) Emphasis mine. It is the Holy Spirit that empowers us to live in agreement with the Father, loving what He loves and hating what He hates; and He will not live or dwell in a dirty, polluted heart. Using the instrument of the Word, the disciples were cleaned and made ready to be indwelt by the Holy Spirit. Without the Word spoken to them, they would not have been able to receive the Holy Spirit! Again, the Bible repeats it. “That he might sanctify and cleanse it (the Church) with the washing of water by the word.” – Ephesians 5:26 (KJV) Emphasis mine. In 2 Kings 5, we see the Syrian captain Naaman, instructed by the prophet Elisha to go dip himself seven times in the Jordan River for him to be clean. The number seven, here, represents the mind of God; completeness, nothing to be added or subtracted. The water represents the Word of God. Like Naaman, we should dip ourselves in it to be made whole and clean. But again, in the Church of today, how much of the Word do we value? Have you ever relied on, hoped on a provision you had stored at home, and when the need for it came you could not reach it because it had been used by some other for something less important? That was what happened to God! Why did God ask them to borrow jewelry from the Egyptians? Couldn’t He have brought them out without it? Was it to beautify them? No! (1) Egypt attained its power and wealth because of God’s presence. The prosperity of Egypt happened because of God’s presence in the life of His children, the chosen ones. So ultimately, they belonged to God. (2) God had a plan for His money. People build houses and buy things with their money. God intended the wealth for His house. What God has given to you is not really for you, but for His work! You are only His instrument of “getting” and “investing” those things! Even the children we call ours belong to God; we are only care-givers or should we say “overseers”, to direct or invest them in the ways of God! (3) This is where the corruption lies! We have not taken the pain to know why God gave these things to us. Why did He give us the children? Why did He give us the job or business? Why did He give us the car, the house, etc. What He purposed for Himself, we have held on to; and like the children of Israel, we worship those things: our children, our wealth and other blessings! Everything belong to God! The instrument of this corruption is the blessing God blessed you with. All that you have today; money, children, land, cars, businesses, jobs, everything, are given to you by the Lord! Not for you but for His Kingdom and glory! Today many claim to serve God but are carried away by wealth; the wealth they have and those they don’t have! MAMMON! This is the end-time god! They worshiped him in the desert and died; and now in the new dispensation, the New Covenant Church has been corrupted and many are dying spiritually! On their own, these things are good. But they become corrupt anytime they enter into the heart! God should dwell here! Any other thing that enters there becomes corrupt! Why? It takes up part of the heart and God will not have part! He deserves and demands all or nothing! A divided heart is a corrupt heart! You cannot serve God and mammon! This is the reason some Christians and their worship are accepted by God: a divided heart! This was what He said of Lucifer. God is no respecter of persons. His standard is His standard; it remains the same and does not change. Our hearts should constantly be examined and whatsoever exalts itself above God in our heart should be cast down. This is done when we refuse to hold anything in our hearts that may turn our hearts from God. We should not treasure anything above God. “Thou shalt have no other gods before me.” – Ex 20:3 (KJV). This first commandment is still potent today! In other words brethren BE ANXIOUS FOR NOTHING! A THING MONEY CANNOT BUY! The hand of the diligent shall bear rule: but the slothful shall be under tribute.” (Proverbs 12:24). Success in whatever you have chosen to do, does not come without a price. Nothing in life is free! Even Salvation cost God and Jesus something. You have to be willing and obedient to eat the fruit of the land. “If ye are willing and obedient, ye shall eat the good of the land:” (Isaiah 1:19). Success is expensive and if you want it, you have to pay for it! The price to pay for success is nothing but a resolute determination. A mountainous determination to succeed is the price to pay. A strong desire to counter disgrace poverty, failure, misfortune, etc, must be put in motion day and night; in thought and in deed. A resolute determination is a mixture of desire and expectation. I read a story of people engaged in a week long prayer asking for rain. On the last day of the programme the Minister suddenly realized that not a single person, including himself, came with an umbrella all through the days of the programme. There was no burning desire! It takes a desperate desire to succeed! “He becometh poor that dealeth with a slack hand: but the hand of the diligent maketh rich.” (Proverbs 10:4). 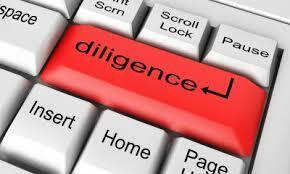 Diligence means hard work. A person who works hard is a diligent person. Laziness, idleness, is not tolerated by a diligent person. Poverty, like a vagabond, stalks everyone. 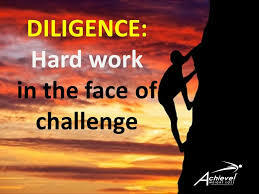 It takes diligence, hard work, to keep it at bay. A diligent person does not need “motivation” to work! Joseph was diligent in the house of Portipher; he did every available and undone work that came to his attention. He needed no external motivation to work. His motivation was from inside. A diligent person works for himself, even if employed. He works almost round the clock, consumed with the passion of the work. A diligent person places value on the work and derives satisfaction when work is done and done excellently; this fulfillment, the satisfaction that follows a work well done is what he values more than the financial reward. May we learn to look beyond financial reward and see the worth of the inner reward; a thing money cannot buy! Posted by jimout2002a in Bible, Christian Character, Church, contentment, God, Riches, success Tags: Christianity, Church, faith, Mind., money, people, principles, promotion, Religion, Thought, Training. If people knew there was a place called provision; a place where every need would be met, I believe we would all go there to live. But is there really a place called provision? A place where needs are met? Posted by jimout2002a in Bible, Church, contentment, Deliverance, God, Health, Ministry, Riches, success Tags: anxiety, Christianity, Church, faith, Focus., Food, Health, life, Mind., money, peace, Religion, Thought, understanding, Word. “Book Me Down!” He told the woman. That had been his language for years. He had become a well known customer in that grocery store; so popular was he that a book was opened for him, to take eventry of everything he purchased and how much he owed. The woman started to write even before he asked her to and this hurt him especially as people had thought him to be unable to meet his need without going into debt. The astronomical height of his bill had always surprised him at the end of every month that he could have argued it out had it not been that it was written, and with dates. After settling the old bill, virtually nothing would be left from his salary other than money for paying house rent and the electricity bill. He found himself buying again on credit! A circle he tried to, but could not break. He had prayed and fasted to no avail. Many are in that vicious circle. A circle of shame that once entered into is difficult to come out. My wife and I were once in that circle. We had taken groceries on credit. At the end of every month, after paying the old bill we went on another circle of credit buying as financially everything would have been used to settle the previous bill. We took up organizing evening lessons to meet up, but the circle continued. We were virtually working for her! Every money that came in ended in her hands! It was then we learnt that staying out of credit buying does not depend on the size of your income! Rather the more you earn, the more you want! For months this continued to the point we became ashamed and stopped going by her shop.We would go by a longer route so long as the woman does not see us. It got to the extent that when I saw people looking at me or laughing, I felt they knew about my indebtedness and were laughing at me. My ego was greatly punctured as a man. We developed a deep seated hatred for credit buying and after searching the scriptures one day, we took some far-reaching measures which, today, we thank God for. You can apply these measures too and I know that as you faithfully follow them that circle shall be broken. (1) Until you hate a thing, you may not break free from it. There will be that tendency of romancing with it “just this last time”. Yet you keep going back to it. We paid half of the bill and pleaded with the woman to give us another month to bring the balance. (2) Take the step of Faith! The Bible says that without Faith it is impossible to please God. (Heb. 11:6) You do not need ceremonies to stop! Logic will tell you to go gradual but if you hate the shame, you will not go gradual: you will stop suddenly! There will be a temptation to buy “a little” especially when the pangs of hunger threatens. But if you really want a thing, go all out and pay the price. (4) Cut off little spending. An occasional biscuit, sweets, chewing gum, etc. These loose change or coins you think are useless can go a long way to restructure your finance. (5) Look for alternatives. Meat disappeared from our meal while our intake of beans and vegetables increased. My wife hated beans, but we were resolved on breaking the circle. We grew our own Vegetables. Rather than buy, we began to sell. If it wasn’t necessary, we didn’t buy. If we had to drink tea, we did so without milk. (6) Cut down on your transportation! Transportation gulps a huge chunk of income.We cut down on visitation. If the place wasn’t important we never spent money going. In some cases we walked lomger distance just to save money. (7) Buy bulk. Finally we began buying in bulk. It is a lot wiser and more economical buying wholesale. Posted by jimout2002a in Uncategorized Tags: Bible, Christianity, credit, debt, discipline, God, money, need, owe, spending, want.